See What Bonnie's Clients are saying!! "I see now why Bonnie is one of the top sellers in the area. She is quick to listen and quick to help solve problems that can arise. She was very informative and helpful in every step that took place in buying our first home. Bonnie is intelligent and knowledgeable about real estate and knows what she's doing!" "Bonnie is great to work with. She is very helpful, supportive, and is always available for us. We are wondering if she can be added to the preferred real estate agent list with Paragon for future relocation assistance." "We just wanted to thank you for all your patience and assistance in finding me and Dave our new home. I just admired how you would take charge of any situation that came our way and would call an agent on the spot when we would come by a house we wanted to see. It was a pleasure getting to know you." - Dave and Arlene H.
"We just wanted to let you know how much we appreciate everything you have done to help us get into the home of our dreams. We appreciate all of your help and guidance. If there is ever anything we can do for you, please do not hesitate to ask!" - Chris and Lacey K.
"Bonnie is the go to person for quality and value in Real Estate. No stories, just straight answers without the extra sugar coat." "It was truly a pleasure working with you, and we just appreciate all of your hard work for us to purchase our home and sale Jason's home. You certainly made it a smooth transition for us. We will always highly recommend you as an agent, and you will certainly remain our life agent." - Leigh Ann and Jason H.
"We considered moving many times to a different home in Trussville but never pulled the trigger. We finally decided to take the challenge in early October thinking the house would be on the market well into the Spring or even Summer. We decided to price our house aggressively but not to give it away. Within two weeks, Bonnie showed the house to a family relocating to Birmingham. They bought the house for 99% of our initial listing price. We closed three weeks later on that house and the one we purchased. Everything fell into place." "Bonnie is truly the best! My husband and I have had the pleasure of working with Bonnie two times. She sold us our home when we moved to Alabama in 2005 and also helped us sell our home when we moved to Ohio in 2012. Bonnie is professional, knowledgeable, and above all trustworthy. You can count on her!" "We highly recommend Bonnie Hicks with Re/Max!! She recently sold 2 houses for us and we bought another through her. She'd love to be YOUR agent too!!" 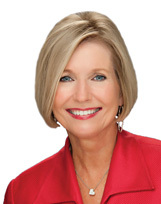 "Bonnie Hicks with Re/Max is a fabulous and hard working lady. We loved her and so has everyone else I've met that either bought or sold a home with her. I'd work with her again in a heartbeat!" - Megan & Ross B. "Bonnie was a pleasure to work with. She answered my calls, texts, and emails promptly and to my satisfaction. The closing went very smoothly and I believe she got the best deal possible for our garden home." "With the suggestions that Bonnie made to help improve and update the house, she was able to sell it in a short period of time." - Tommy & Diane L.
"It has been a pleasure working with you all. Thank you for making this transition in our lives as smooth as possible. We will keep all of you in our thoughts and prayers and make as many referrals as we can for everyone!" - Mark and Rebecca S.
"Bonnie thank you again for selling my unique log home in Remlap. I'm sure it wasn't an easy listing but I knew you would be the one realtor that would make it happen! Anyone would be lucky to have you for their realtor. Thank you and your husband for making my move possible. You are #1." "I wanted to thank you for all you did. We greatly appreciate all your help on selling our house and closing on the new house. We also greatly appreciate your generosity at the end and can't say thank you enough. You went above and beyond and did not have to do that. We have already recommended you to a few people but will continue to do it as we hear of other friends wanting to list their house. - Morgan & Ben M.
"Bonnie, I wanted to thank you for all you did to make the sell of our house so smooth. You gave us good advice and worked to make a quick sell. We were very happy as well as the people who purchased our home. Thank You!" "We have used Bonnie to sell two houses now and have been very happy both times. She's knowledgeable, friendly and a great advisor. We absolutely would utilize her services again and have recommended her numerous times." "My husband and I were recently referred to Bonnie Hicks of ReMax Marketplace. Bonnie showed us many homes that we had found through Zillow and we didn't like any of them. She knew what we were looking for, the area we wanted, and found us the perfect home. Bonnie worked her magic and, within three weeks, we had closed on our new home. I believe her experience and knowledge of the area made her the right choice for our realty needs. I highly recommend Bonnie Hicks of ReMax Marketplace." "I would recommend Bonnie Hicks in the strongest terms. Not only is she very engaged in our area, her marketing approach is unparalleled. Bonnie is extremely professional and networks throughout all levels of Birmingham Society both personal and professional. She will do more than just place a sign in the yard. She will market the property and fetch the best price." "Bonnie Hicks is the perfect realtor! She is responsive, knowledgeable, proactive and thoughtful! I highly recommend her!"